Partner with a local web design company who can meet with you face-to-face in Scottsdale! Tell us your challenges, goals, and vision for a professional website. We will prepare a tailored proposal for a web design that gets the results you seek. Scottsdale's Public Art Program is a great example of how to develop a unique image, stand out from the crowd, and attract new people. That's exactly what your website should be doing for you and your business. Web Designs Your Way has served business owners since 2010. We are a husband and wife team dedicated to providing value-packed customized services and protecting our clients best interests. You won't get a one-size-fits-all design template, tweaked with your colors and content, that essentially looks like a lot of other websites in your industry. You won't have to deal with a salesperson or customer service rep who doesn't really have web design expertise. It is no secret that Scottsdale is one of the most affluent cities in the Phoenix area. In large part, this is due to its dedication to local customer-focused business development. You are a part of that exciting growth. So whether you represent a corporation, operate a home-based enterprise, or work remotely as a freelancer, the quality and effectiveness of your website design is essential to your success. Browse our portfolio to view work we've done for business owners across the country. You may also recognize local businesses we've collaborated with in Scottsdale and the surrounding area. "It’s always a pleasure working with Chad and Evelyn. Web Designs Your Way created our own personalized tutorial for our website on a few how-tos and tricks. That’s just one of many things we are thankful to have them for as our web design team!" Scottsdale is a city of professionals with twice the college graduates as the national average and one of the highest percentages of remote workers in the United States. We know you have high standards. You deserve professional web design from a company with the same commitment to ethics and excellence. 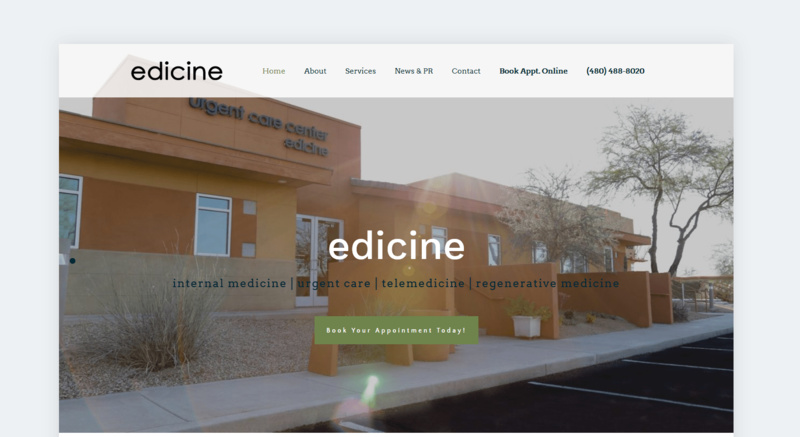 Get started with a free Scottsdale web design consultation today by calling Chad or Evelyn at 480-656-6059 or sending us a contact form message.